The weather turned ok around noon. 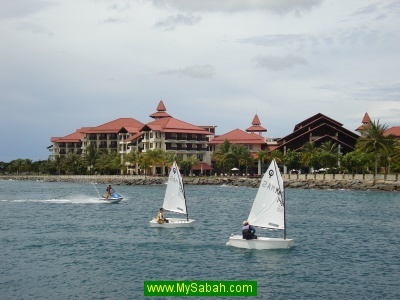 I guessed they would start the race soon, so I waited at Sutera Harbour around 1 PM. Their boats arrived the harbour about 2 PM.